Working with posters was a new adventure to me! 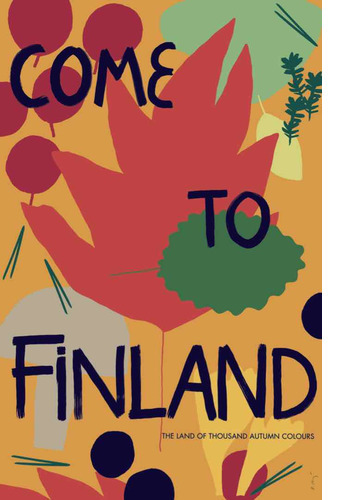 The inspiration for the two posters designed for Come to Finland came from daily walks in Helsinki and walking trips to nature. The special colours of Finland always amazes me. Let it be summer with the bright lights or winter with a soft and grey layer, the colours here are always special, different from where I grew up. My goal was to find two colour sets that resemble the feeling of the topics of the posters. Both posters are full of details that are meaningful to me. 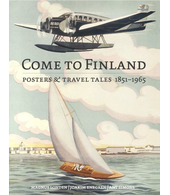 Like on the Punavuori poster the little dog. I saw him almost daily while walking to my studio. First I drawn some elements with pencil in my sketchbook, re-drawn them and scanned them and then finally filled them with the colours from the two colour palette I earlier developed. 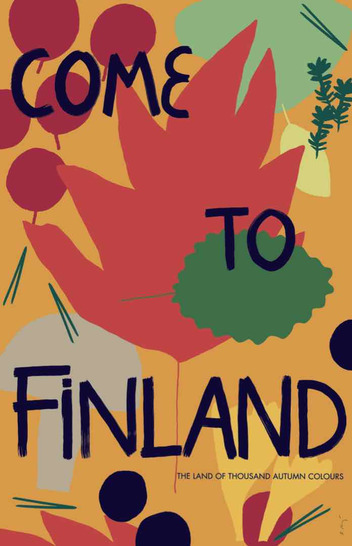 There is always tweaking and adjusting to be made to the illustrations, and so after a good morning walk I did that and sent the ready posters to Come to Finland.